Sometimes we think of limitations as things we’d like to get rid of, restrictions on our freedom. But of course limitations are self-imposed, and are actually necessary to experience life and process on Earth. 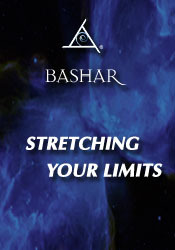 In this vintage transmission Bashar shares his unique perspectives on limitations as he defines them, why we need them, and other ways we can use them. In this context of “creative acceptance,” doubt, hesitation, pain, fear, and other negative emotions can be experienced as love, joy, and passion when you learn to redefine limitations. This is an evergreen discussion about getting more conscious control regardless of circumstances.